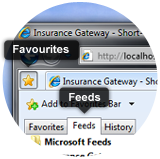 Please note the feeds below are for the Retirement Professionals Gateway only. Below is a sample of the RSS Feed for the Retirement Professionals Press Room. The process of examining, accepting, or rejecting insurance risks, and classifying those selected, in order to charge the proper premium for each. The purpose of underwriting is to spread the risk among a pool of insured’s in a manner that is equitable for the insured’s and profitable for the insurer.